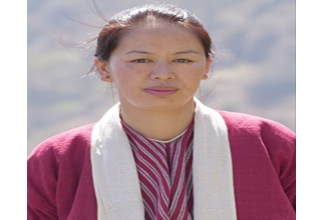 Prime Minister Narendra Modi on Tuesday awarded Yeshi Wangmu, a swachhagrahi from Tawang district of Arunachal Pradesh, for her outstanding contribution to the Swachh Bharat Mission (G) in her district. The award was presented to Wangmu in a program held at Champaran, Bihar, to mark the end of the year-long centenary celebration of the Champaran Satyagrah Movement. She has been engaged in innumerable gram sabha meetings and activities conducted to mobilize the community. Altogether 10 swachchgrahis from all over India were awarded during the occasion.